Real estate and insurance agent, soldier, MLA (1914-1915), Mayor of Winnipeg (1928-1929). Born at Scotch Block, Halton County, Ontario on 4 January 1868, son of Mr. and Mrs. G. McLean, he was educated at Georgetown and worked as a flour miller at several mills in Ontario before arriving in Manitoba in late March 1892 where he carried on work as a miller at Morden. Moving to Winnipeg, he worked as manager of the Winnipeg Machinery and Supply Company, later operating the real estate and insurance brokerage firm of D. McLean and Company. 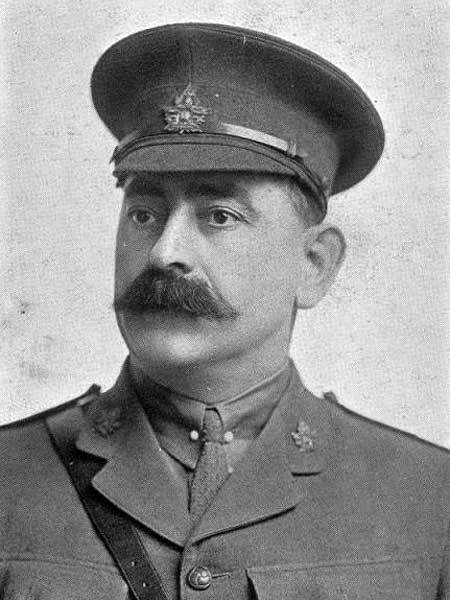 He organised and raised the 106th Regiment of the Winnipeg Light Infantry in 1912 and, on the outbreak of the First World War, took the first troops out of Winnipeg to Valcartier Camp in Quebec in August 1914. He raised and trained the 61st Battalion of the Canadian Expeditionary Force, and he raised, trained and commanded the 101st Battalion, with whom he went overseas in June 1916. He returned to Canada in March 1918 and served on Headquarters Staff of the Military Division No. 10 from June 1918 to March 1919, at which time he left the army and returne to his business. In 1919, reorganised the Winnipeg Light Infantry (10th Battalion) and commanded it until June 1921, at which time he resigned and became a reserve officer. Active in municipal affairs, McLean served twice on the Winnipeg city council, from 1907 to 1910, and from 1921 to 1927 during which time he served as Chairman of the Public Improvements Committee. He also served on the Winnipeg Board of Control from 1913 to 1914. He resigned his council seat in 1927 to run for Mayor of Winnipeg, a position that he held from 1928 to 1929. He served again on council from 1931 to 1933 and from 1935 until his retirement in 1942. McLean was elected to the Manitoba Legislature for the Winnipeg North constituency in 1914, serving a single term. He was defeated in his candidacy for Winnipeg in the 1922 provincial general election. On 6 November 1895, he married Alberta Blanchard, daughter of Marshall Blanchard of Morden. They had three sons and two daughters: Marshall Spurgeon McLean (b 1897), Hugh D. McLean (b 1900), Charles Wellington McLean (b 1907), Beatrice McLean (b 1909), and Pearl McLean (b 1909). He was a member of the United Service Club, Masons (King Edward Lodge No. 95), St. Giles United Church (where he was an elder and chair of the Board of Management), and the Knights of Pythias. In 1925, he lived at 346 Redwood Avenue in Winnipeg. He died at Winnipeg on 2 March 1950 and was buried in the Brookside Cemetery. “Former mayor of Winnipeg Colonel McLean, 82, dies,” Winnipeg Free Press, 2 March 1950, page 14. We thank Jim Busby for providing information used here.